In May 2013, Hormel Foods, with its team at Burson-Marsteller, published the company’s sixth full corporate responsibility report, titled the 2012 Hormel Foods Corporate Responsibility Report. 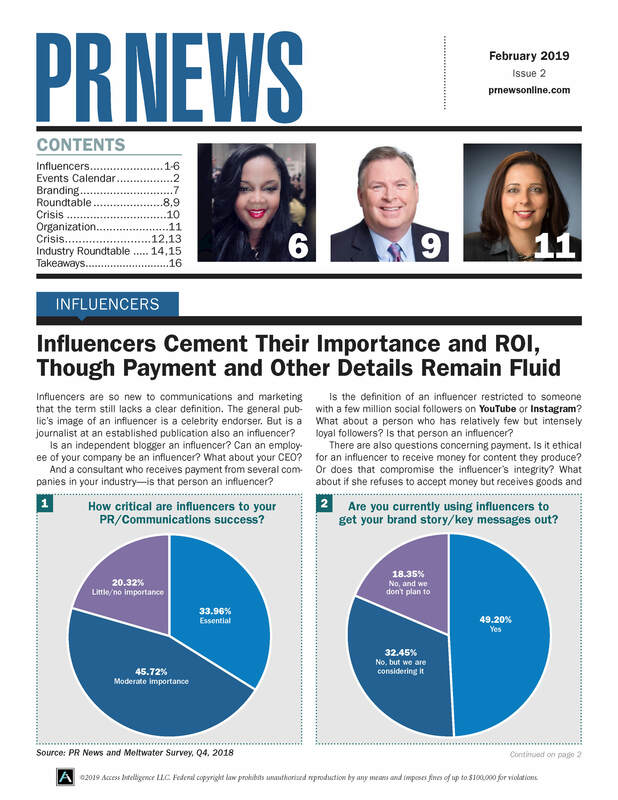 In the past, the team developed online, interactive reports with a print executive summary; however, for 2012, the goal was to make the content easy to find for analysts, so in addition to the online report, a full PDF report was added as a downloadable option for analysts who like to review the data in one document. 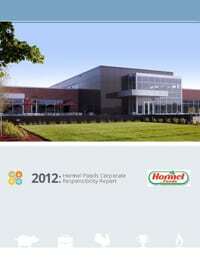 Additionally, a sales tool was created to highlight the goals and progress made by Hormel Foods. This tool could then be shared with customers – a key audience for corporate responsibility information. In addition to sharing a link to the online report with targeted media and external stakeholders and announcing its release on www.HormelFoods.com and CSRWire, Hormel Foods also sought to raise awareness among its social media-savvy stakeholders. This was done via a Twitter contest in which @HormelFoodsCorp followers were quizzed about the company’s sustainable business practices. Gift boxes and sustainable prize packs containing Hormel Foods products and money saving coupons were awarded to contest winners. Additionally, Hormel Foods sponsored a promotion via its Twitter handle in order to raise funds to benefit Feeding America, which incentivized followers to read the 2012 Corporate Responsibility Report and “re-tweet” the message. For each “re-tweet” received, Hormel Foods donated $7 to Feeding America during the promotion period in celebration of this being the seventh year for a CR report (of any kind) for the company. The primary objective for the 2012 Monsanto Corporate Social Responsibility & Sustainability Report (CSR) is to communicate Monsanto’s progress related to sustainability and social responsibility in its business practices and products. Monsanto felt it was important to construct a report that was visually appealing so it would be pleasant to read. They decided to pull only the best stories of 2012 to include in the online report and to provide details in an engaging, friendly tone with info graphics integrated amongst the text to complement the most primary messages. The final execution included a 150+ page comprehensive report that captures significant efforts by Monsanto to clearly show readers how they have improved sustainability and social responsibility across four primary areas: Commitments, Food and Nutrition, Environment and Communities. Additionally, a microsite was built that encapsulates the most salient sustainability stories for users to access electronically, as well as an executive summary brochure that captures the highlights of this year’s report. The CSR is also an appealing, graphically enigmatic body of work. Monsanto leadership confirms that the web design and content organization of the website is user-friendly and has been very positively received from key sustainability partners. Since the June 2013 launch, there have been over 5,000 unique visitors, who are visiting an average of 3 unique sections of content, per visit.